Since success is an attitude, or as Aristotle said ‘Excellence isn’t an action, it is a Habit” I wanted to provide a number of “exercise life hacks’ that could change you Life by improving your fitness, increasing your energy levels and making your Vibrate at a higher frequency — therefore attracting more Abundance in your Life. Research shows that what we begin on a Monday we are more likely to stick with. We often see Monday’s like a fresh start and because you’ve prepared on Sunday (buying your gym clothes, packing your bags) then you are more likely and more motivated on a Monday for a new routine than any day of the week. So, decide what Exercise is right for you, and then begin…..this Monday!! The next recommendation is based off research from the American Council on Exercise that shows people who exercise in the morning, soon after waking, exercise more often and with greater frequency than those who work out other times of the day! It’s that simply, if you want to exercise more and more frequently then try to devise a routine that has your work out close to your waking! It’s probably due to ‘other things’ getting in the way as the day progresses, so try to structure your day with a morning work out session, and a recent blog showed even only 6 minutes a day of running can make a huge difference! If you have time for a longer workout then that would be great also! Research has shown that a 45 minute work out makes you less hungry at breakfast and more likely to make a healthy breakfast choice. Also, somewhat counter intuitively, the National Sleep Foundation discovered a morning workout makes for a better night sleep than one in the afternoon or evening! This is because exposure to daylight (even a drive to the gym) soon after waking is good for you natural circadian rhythm as it’s a good reminder for your Body clock that the day has already begun and the timer begin for nightime! In addition (according to the Appalachian State University) morning exercise lowers blood pressure causing a subsequent reduction at nightime, which has been linked to a better night sleep. However, if getting stronger is your goal, also try to squeeze in a late afternoon or early evening session 3 times a week. Morning sessions are great for routine and weight lose, but since testosterone and body temperature is at its peak later in the day, you will be slightly stronger and more flexible (up to 20 percent more) in later afternoon and early evening leading to a better work out. This has been backed up by a number of studies showing swimmers and soccer players performing fastest in early evening trials! 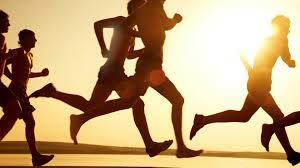 The benefit of exercise to your physical and spiritual health can not be overstated. Obviously consult with a doctor before beginning any strenuous exercise, but if you want to begin make a start on Monday, begin soon after rising (for greater chance of success) and then introduce a few afternoon sessions to increase your strength after a few weeks. Remember, success is a Habit, so start making it a Habit in your Life!